SCIENTISTS had stumbled on the discoveries that had changed various spheres of life including food packaging, processing, handling, distribution and marketing. In the course of research, scientists came across vitamins, isolated them and packaged them as tablets, syrups, capsules, powder etc. as food supplements. While early scientific communities made many valuable contributions in understanding the role of individual vitamins in health, the process of identifying and isolating vitamins led to an incorrect assumption now shared by a majority of nutritional scientists that vitamins are as effective and health promoting in their isolated state as in their natural whole – food state. Quantum science has provided data demonstrating that multitudes of co –factors exist within and around these vital nutritional structures [vitamins] that are essential to its correct functioning. These microscopic and often invisible factors may be as nutritionally important as the vitamin itself. Supplements are not intended to be food substitutes because they cannot replicate all of the nutrients and benefits of whole foods, such as fruits and vegetables. So depending on your situation and your eating habits, dietary supplements may not be worth the expense. Whole food should not be replaced with supplements because whole foods are complex, containing a variety of the micronutrients the body needs. An orange, for example, provides vitamin C plus some beta carotene, calcium and other nutrients. It is likely these compounds work together to produce their beneficial effect. Whole foods, such as whole grains, fruits, vegetables and legumes, provide dietary fiber. Most high – fiber foods are also packed with other essential nutrients. Fiber as part of a healthy diet, can help prevent certain diseases such as type 2 diabetes and heart disease, and it can also help manage constipation; also whole foods contain other substances important to for good health. Fruits and vegetables, for example, contain naturally occurring substances called phytochemicals, which may help protect an individual against cancer, heart diseases, diabetes and high blood pressure. Many are also good sources of antioxidants – substances that slow down oxidation, a natural process that leads to cell and tissue damage. Actually, some supplements are extracts while some are concentrates. An individual needs maybe B – complex because he is not eating well, supplement makers extract B – complex and put in capsule for him to use. Some come as concentrates just as paw – paw that you remove the non – essential things, the fibers and so on, then put them in concentrated form and give them out. The food that some individuals for some reasons are deficient in, supplement makers provide as capsules or liquid or powdered form. That is what food supplement is ideally, but unfortunately, the story is not like that. However, one of the challenges of food supplement industry is that de – naturation can take place, some of the quality can be watered down. Some people think that since they are natural, you can take as much as you want but that is not true because some of the preservatives could be harmful, some could even expire so they are not without possible side-effects or problems. There have been instances where they found mercury and some other dangerous chemicals were used. What really are Food supplements? As defined by Congress in the Dietary Supplement Health and Education Act [DSHEA], which became law in 1994, a dietary supplement is a product [other than tobacco] that is intended to supplement the diet; contains one or more dietary ingredients including vitamins; minerals; herbs or other botanicals; amino acids; and other substances or their constituents; is intended to be taken by mouth as a pill, capsule, tablet, or liquid; and is labelled on the front panel as being a dietary supplement. According to United States, National Institute of Health[NIH], dietary supplements are products intended to supplement the diet. This was corroborated by Dr. Gabriel Omonaiye who said supplements are ideally intended to meet the gap in individuals who for some reasons do not take balanced diet or who have short fallen in one or more important components of food. However in Nigeria, the tale is different. Rather than advertise the product as supplements, the marketers of these products which have flooded Nigeria, have found their way to sell it into the hearts of millions of people that supplements are medications capable of curing all sorts of diseases especially the chronic ones. Worse still is the networking angle that had been used to characterize the industry. Having the mindset that they could rise from one rank to another, depending on how much sales they make and how many people they bring to register under them and the amount of sales each group make, these marketers convince so many gullible. To say that they are making it financially is an understatement, today, the food supplement industry is a multibillion industry. 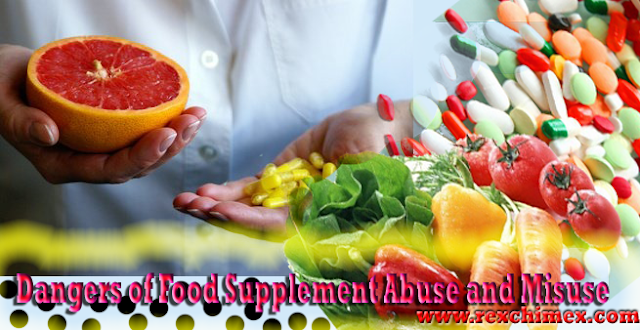 Who should take Food supplements? Despite that most individuals take food supplements, experts said that supplements may not really be useful at all. They maintained that only a class of people who for reason or another do not take balanced diet, people who are ill, pregnant women or alcoholics are encouraged to take supplements. According to NIH, if you do not eat a nutritious variety of foods, some supplements might help you get adequate amount of essential nutrients. However, supplements can’t take the place of variety of foods that are important to a healthy diet. Scientific evidence shows that some dietary supplements are beneficial for overall health and managing some health conditions. For example, calcium and vitamin D are important for keeping bones strong and reducing bone loss; folic acid decreases the risk of certain birth defects; and omega – 3 fatty acids from fish oils might help some people with heart diseases. Other supplements need more study to determine their value. Food supplements shouldn’t replace natural food. Dr. Omonaiye said, “Food supplements are not supposed to replace normal food, they are not curative and should not be used for preventive purposes ideally, but in some individuals who may be vegetarians, alcoholics, pregnant women, people that have debilitating illnesses that they cannot really eat as such, you find that there is a deficiency for such people and food supplement can be very helpful. 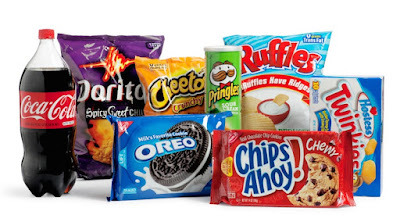 For a number of years now, the alarming trend of how Nigerians consume Junk food has been on the front burner, this is even as so many civil rights groups and the media have put up a lot of campaign to expose the ugly effects of junk eating. Today, a lot of people might have had a u – turn, survey conducted among consumers of food supplements show that most of them cannot do without junk food and have resorted to taking supplements, believing they will help them cover up with the nutrients lost to junk feeding. Experts have however condemned such act, stressing that supplements should not replace normal diets. The dietary guidelines for American made it clear that your nutritional needs should be met primarily through your diet. NIH in one of its publications noted that, Supplements are most likely to cause side effects or harm when people take them instead of prescribed medicines or when people take many supplements in combination. Some supplements can increase risk of bleeding or, if a person takes them before or after surgery, they can affect the person’s response to anesthesia. - Vitamin K can reduce the ability of the blood thinner Coumadin to prevent blood from clotting. - St. Johns wort can speed the breakdown of many drugs [including antidepressants and birth control pills] and thereby reduce these drugs effectiveness and anti-oxidant supplements, like vitamin C and E, might reduce the effectiveness of some types of cancer chemotherapy. They also warned against the dangers of getting excess of ingredients, stressing that it might be dangerous to health. “Keeping in mind that some ingredients found in dietary supplements are added to a growing number of foods, including breakfast cereals and beverages. As a result, you may be getting more of these ingredients than you think, and more might not be better. Taking more than you need is always more expensive and can also raise risk of experiencing side effects. For example, getting to much vitamin A can cause headaches and liver damage, reduce bone strength, and cause birth defects. Excess iron causes nausea and vomiting and may damage the liver and other organs.